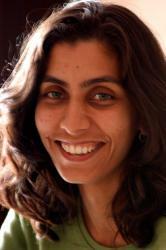 Veena Chordia is part of the Teabox Procurement team. Born and raised in the Nilgiris, in the world of the Nilgiri tea, she’s now enjoying her first Darjeeling spring flush. We were curious about how she viewed these hills. Coming from the Nilgiris what was your first impression of Darjeeling? The mountains here are obviously huge; the Nilgiri range is smaller. When I saw the Kanchenjunga, it was an out-of-the-world experience. Just pure bliss. I can’t wait to get another view of this peak. How do the two places compare – their histories are similar, but what else is? Both Darjeeling and the Nilgiris are colonial establishments. Tea is a common connect but culturally too, there are some similarities. Dotting the landscape are old churches and schools set up by the missionaries that continue to function even today. The flora and fauna are similar and of course, both hills have a UNESCO heritage toy train that is now part of the tourist’s itinerary. Two of the three biodiversity hotspots of India are in these two mountain ranges. Bunkulung bridge, a suspension bridge as old as the tea industry here. We discovered it while trying to find a shorter route to Castleton estate. This is your first spring flush in Darjeeling, isn’t it? How’s it been? Yes, it’s my first spring in Darjeeling and it’s wonderful to see how people are so excited about the first flush. They seem to be waiting for the first flush as one waits for newborn baby. They are all returning to the factories after the winter break. Lot of news to catch up on – some places have new managers, some have staff who’ve come from Assam, the season and what kind of crop can we expect and what prices… tea is the world here. Darjeeling’s is colder than home. Crisp, fresh air. One can see why both these hills were attractive as summer homes for the British. I also find that like my home, here too, everyone has a little garden no matter how big or small their house. I’ve enjoyed seeing orchids higher up in the hills, in managers’ bungalows but a sight I can never tire of is of the magnolias (especially the Magnolia campbelli) – the perfect springtime flower. And people – where I used to see Badagas, Irulas, Kurumbas, Todas and Kotas, here, I meet Nepalis, Bengalis, Sherpas and Lepchas. The hills are a rough terrain to live and work in. But in both Darjeeling and the Nilgiris, I am struck by how tea is almost an emotion that connects people. What teas have you been tasting here? There are Darjeeling specials like the moonshine, moonlight white teas, and pearl teas. Oolongs are the latest types in both Darjeeling and Nilgiris. Estates like Goomtee have secured a special Taiwanese machine to make oolongs. Unlike the Nilgiris, here, every flush demands a different manufacturing pattern. The teas from each Darjeeling season, I am learning, are unique. The chinary and clonal teas are distinctly different in their aroma and flavour profiles. What does it mean for you to be in Darjeeling? The team here has been showing me the world of Darjeeling tea. Gopal and Ravi have so many stories to share about the place. Our trips to the gardens are always interesting because of this. I am learning about the history of Darjeeling tea and discovering a range of different teas. And I am amazed by how one country holds such a diversity in tea. It leaves me humbled. Aravinda Anantharaman is the editor of Still Steeping, the Teabox blog. Her interests are history and literature, and their influence on contemporary society. Aravinda has published with Penguin Random House (India). Well done Veena. Very interesting!!! This is a very good blog, Aravinda. Thank you, Nirmala. Hope you enjoy our stories, and our teas.